Khiva, an old city of ancient Khorezm in Uzbekistan, was, according to a legend, established around the well Hewvakh dug by the order of Shem, the elder son of Biblical Noah. 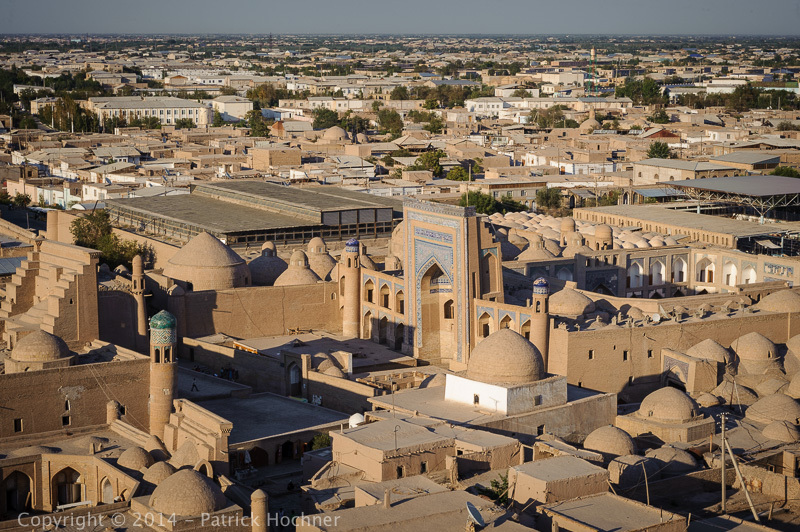 Khiva, a major trading center on the ancient Silk Road, was the capital of the Khanate of Khiva, and after that the capital of the Khorezm Soviet People’s Republic. The inner town, or Itchan Kala, is an open-air museum. It is encircled by brick walls, whose foundations are believed to have been laid in the 10th century. 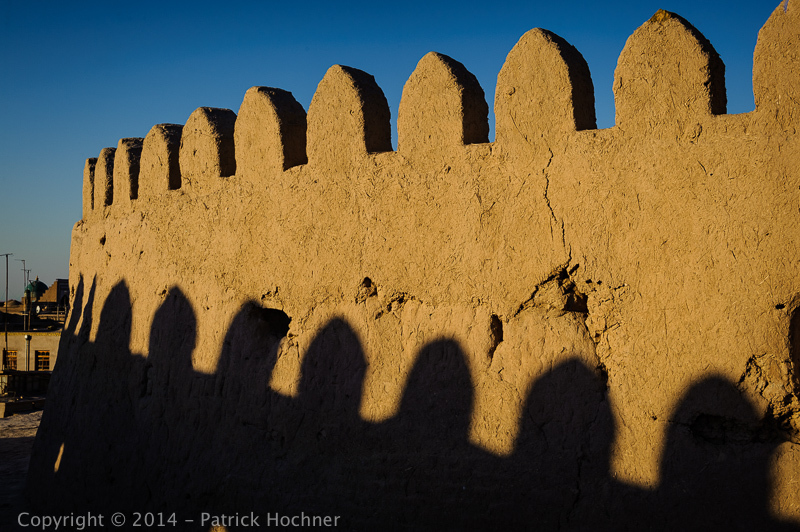 Present-day crenellated walls date back to the late 17th century and attain the height of 10 meters. The old town retains more than 50 historic monuments, including numerous mosques, madrases (koranic school), palaces, and 250 old houses, mostly dating from the 18th or the 19th centuries. The large blue tower in the central city square was supposed to be a minaret but it remained remains unfinished to this day. In 1990 the city was included in the UNESCO World Heritage List. We were lucky to stay within the old city and enjoyed visiting it at various hours of the day, but mainly in the evening, when the heat becomes bearable and the general atmosphere is pleasant.